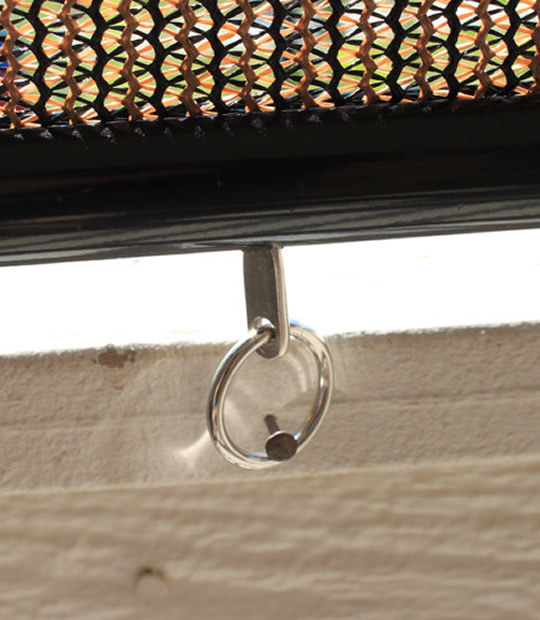 You can regain comfort in your outdoor living area again by blocking 90% of UV light on your porch, patio or in your sunroom. These fabrics and components are designed and certified for outdoor use with rain, wind and sunlight, will hold up under all weather conditions, including the hottest summers and coldest winters. 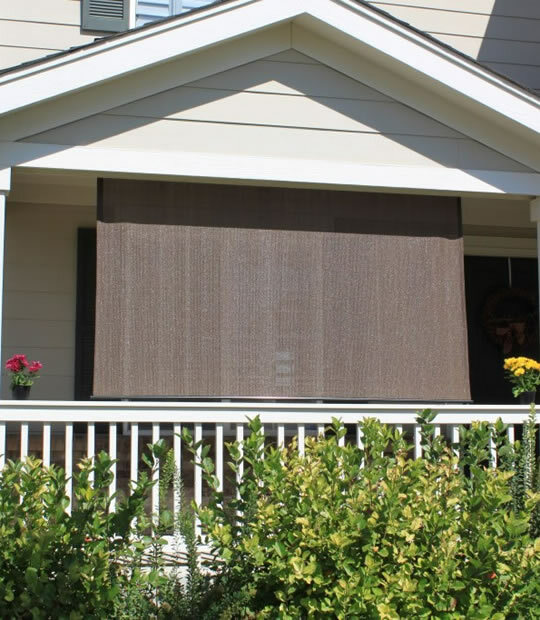 It's time for more outdoor living with exterior shades. The Silver series shade is our entry-level shade. 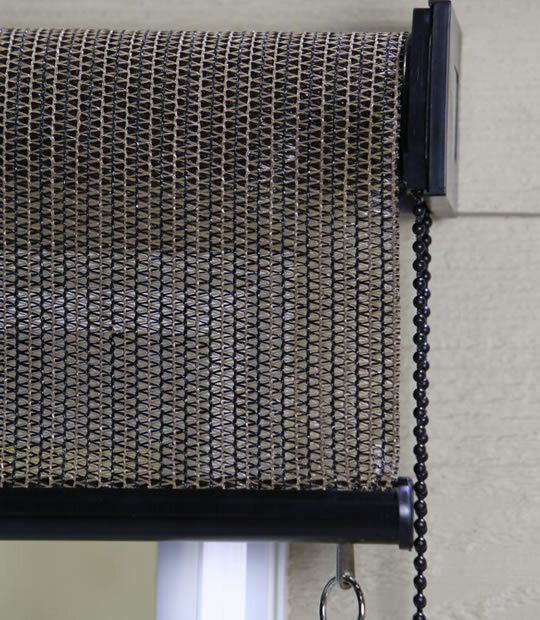 This cord-operated shade features our standard-grade PE fabric. 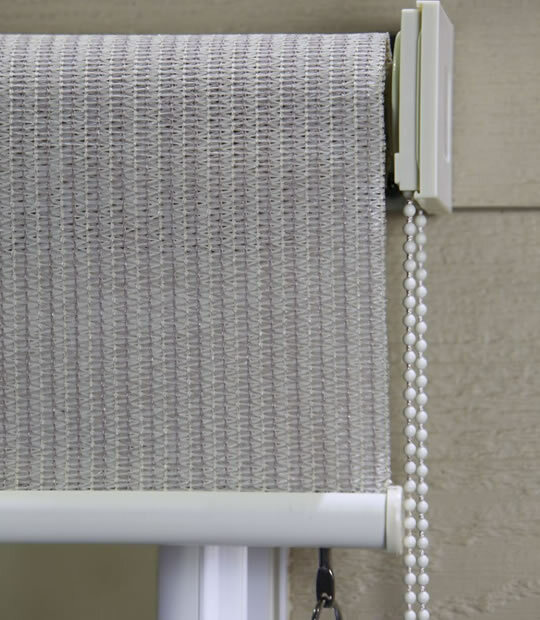 Silver series shades do not include a valance. 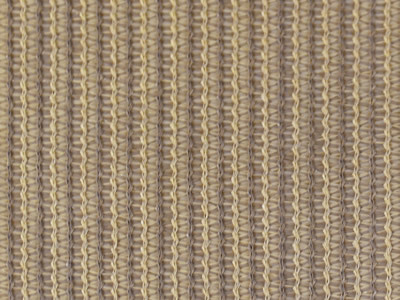 All Silver series shades have a fabric drop of 6 feet (72 inches). 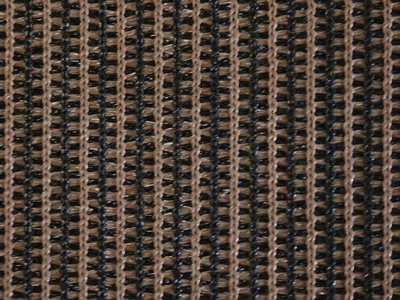 Three (3) fabric colors are available: Cabo Sand (85% UV Block), Pebble (86% UV Block), and Monterey (88% UV Block).